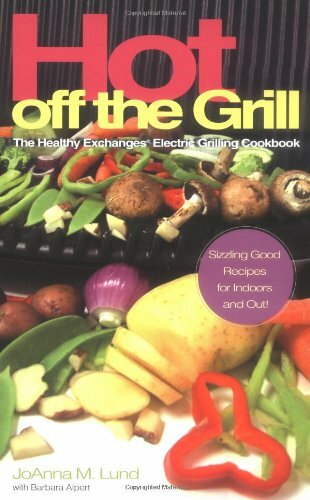 The newest book in the popular Healthy Exchanges series features 150 easy recipes for the electric grill. JoAnna Lund offers dozens of healthy and delicious ways to get out of the grilling rut. Sizzling selections include: German Grilled Potatoes; Egg and Mushroom Sandwiches; Chicken Almondine Salad; New England Crab Cakes; Fried Apple Rings; Blueberry Thrill Snacks and many more. And with the Healthy Exchanges seal, readers can be sure that these low-salt, low-fat, low-sugar foods have been taste-tested to perfection. With delicious choices for the entire family, readers won't be able to get enough of their grills.